DESIAP was initiated because we are witnessing a growing tide of grass-roots movements in citizen participation, catalysed by an economic, humanitarian, environmental and political crisis around the world. There’s a growing recognition that such large-scale ‘wicked problems’, which are so complex with inter-locking issues, cannot be solved by public institutions alone. Authority-driven, one-size-fits-all approaches to service delivery to fix such problems are now proven to be inadequate in many case studies in the West, because of the diverse character and needs of people and communities. However, in many Asian countries, top-down culture is ingrained. Hierarchy is often accepted, respected and perpetuated. Conforming to social norms is seen as a way to maintain harmonious relationships. Valuing a collectivist orientation also means that it is harder to critique the status quo, express alternative views or ‘fix’ things that others may not see as ‘broken’. If social innovation is conventionally seen as a bottom-up approach to citizen participation, how does it happen in the Asia-Pacific, and what role can design play here? In asking these questions, we have also seen a trend of seeking answers by looking West where the industrial model of design and design education has its roots, in search for expertise, models and best-practices in Europe and the US. This, inadvertently, can establish another hierarchy between regions and misconstrue that design can be ‘imported’ from the West like a product and applied without considering the cultural nuances and conditions that can foster social innovation. If we try not to see design as something unique, isolated or causal in enabling social innovation alone, but also acknowledge other factors that are inherently entangled in making change, such as local place, people, culture, materiality, indigenous knowledge, histories and language, we can build an understanding of design and social innovation that is more appropriate to the Asia-Pacific region. We need to learn from one another and from what is happening in our own regions. The fourteen speakers in DESIAP 2015 are just a handful, but also powerful representatives of design and social innovation initiatives in Singapore, Malaysia, Thailand, Japan, Bangladesh, Indonesia, Myanmar, Laos, Sri Lanka and Pakistan. They generously shared their personal experiences of how they are actively creating spaces and places for meaningful engagement, skills sharing, capacity building and purposeful transformation. In many of their examples, public institutions like governments, universities and NGOs are key partners in these initiatives in funding, collaborating, educating and enabling these ideas to seed, grow and prosper. In this arena, designing can take on a new role and meaning. Design here is no longer just the domain of professionals possessing specific knowledge about design, solving problems on behalf of other people. Most DESIAP 2015 speakers were not trained in traditional disciplines of design. Designing can also be performed by non-design experts who have local knowledge, social relationships and specific entrepreneurial competencies. Designing here becomes a catalyst to enable people to draw on their latent resources and creativity to co-design, co-create and co-make new ways to address the challenges they face. Insights, too many to summarise and capture, were shared during this event. Some of these can be seen in the resources page (still to come). Common elements was an absolute commitment to create conditions for people’s well-being where human-centred approaches enabled a way to see the world from diverse perspectives. Various strategies, both intentional and serendipitous, were shared that helped to foster trust, collaboration and relationships in order to bridge boundaries and connect to human, social, cultural and economic resources. These were expressed as paramount to disrupt hierarchy, boundaries and social norms, and to bring people along in transitioning to alternative ways to live, work, study and play. Again, design was acknowledged as a valuable skill in making intangible phenomena more tangible and fostering spaces that helped others to understand and engage in. However, other human dimensions such as empathy, generosity, patience, humility, curiosity and openness was also seen as valuable when engaging in social change. What alternative models of design practice and design education are needed in order to foster social innovation more widely in the Asia-Pacific? What other qualities, skills, mindsets and conditions are conducive to this kind of work, and how can they be identified? What problems are ‘relevant’ or has urgency to be tackled, and how do we identify opportunities, networks and spaces to work in? How can we foster and build a community of practice that can meaningfully share, when most practitioners in this space are already over-worked and time-poor? Mainstreaming the social: how do we as researchers, practitioners and educators help make the focus for the social a norm for design, instead of its current perception of it being unconventional? What issues are best tackled by a top-down approach, and what other concerns are better being a bottom-up approach? What could be a blended approach of the two, and towards what purpose? These questions, and more, will be taken up in a future DESIAP event. The DESIAP 2015 Speakers Booklet (1.1MB PDF) is available to download. 4:30pm mAgri: Enhancing the Lives for Farmers Through Service Design. Tay Lai Hock, Founder and Kampung Chief of Group-up Initiative and M.Ibnur Rashad, Co-Inventor of iBAM and Kampung Scientist of Ground-up Initiative. VENUE O-Lab Singapore University of Technology and Design, Changi campus, 8 Somapah Road. The nearest MRT station is Changi Expo, on the East West Line. The 2nd day’s focus is to synthesise the themes, issues, opportunities, questions arising from 1st day through a participatory workshop. The aim is to cohere the event outcome in a way that starts to create a picture of service design and social innovation space in the Asia-Pacific. This is mainly a student-centred activity, but if you would like to participate, you are more than welcome! Dr. Nanci Takeyama has received her Bachelor degree in Architecture and Urban Planning from Sao Paulo University, Master of Design from Kyushu University and Ph.D. in Design Research from the Kobe Design University. In her commercial career she has worked at very prestigious design offices, and her commercial works have been featured in several international design magazines and books. Dr. Takeyama’s research field link design and anthropology, philosophy, mythology, psychology, cosmology, to mention a few. 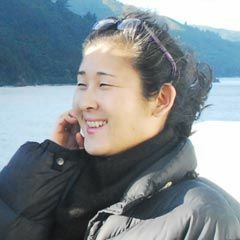 Her first book, “Mountain floats to connect this world and the other”, co- authored with Professor Sugiura Kohei and other acclaimed researchers on Asian design, was published in December 2012. Nanci is the founding director of ‘design for’, a group engaged in utilising scholarly research, to advocate cultural understanding and preservation by using design as a dialogue. Lai Hock is the Founder and ‘Kampung Chief’ of the Ground-Up Initiative (G.U.I.). He has been rallying the power of community through its weekly Balik Kampung programme to grow GUI since 2008, starting from a tiny plot of land through the grace of a local farmer at Lim Chu Kang. Quickly outgrowing that, GUI moved to Yishun in April 2009 where it has collectively raised and grown its base, the Sustainable Living Kampung, from a mere 100sqm of space to over 1500sqm. This has enabled GUI to nurture a 21st Century Kampung Culture that connects many people to GUI’s vision of a 5G society – Gracious, Green, Giving, Grounded and Grateful. GUI will soon begin constructing the Kampung campus, a low carbon footprint campus, to serve a wider audience in Singapore as well as the region. Many values and philosophies guide this vision. The African proverb: “Go fast, go alone. Go far, go together”, motivated Lai Hock to bring many kindred spirits to realise this vision together. Before GUI, Lai Hock was 6 years a professional soldier and 11 years a highly successful regional corporate business and marketing man before leaving to backpack around the world for more than 4 years in the quest to discover something truly meaningful to do with his life. A community-oriented ground-up innovator, Ibnur believes in innovation, governance and learning from Nature. Ever since he published his first scientific article in an international photonics journal at the age of 15 together with an NUS professor, his spirit of experimentation developed beyond lasers to biochip nanofabrication and ‘invisibility cloaks’ to rainwater harvesting and floating farms. While studying in NUS under the Engineering Science Programme (ESP) and University Scholars Programme (USP), he actively went on field assessments and community development expeditions in Vietnam, India and Indonesia and won 2 UNESCO Mondialogo Engineering Awards. With inspirations gained by living in Silicon Valley through the NUS Overseas College (NOC) programme, he co-founded the Sustainable Living Lab (SL2) in 2011. He now serves at Ground-Up Initiative (GUI), the community organisation which nurtures a unique ecosystem of Kampung entrepreneurs, social innovators and makers who seek to bring sustainability back into the hearts of many. Joseph Foo is the founding director of 3nity, an established and award-winning multi-disciplinary brand identity consultancy in Malaysia alongside two other partners, Leong Kah Fai and Luke Teong. A graphic designer by training, Joseph has in recent years placed his focus in education & community led projects. He actively promotes the idea of ‘social innovation’ to clients in order to make a difference, in their business and to meet the social needs of the local community. in 2010, he co-founded 3x, a collective of creative entrepreneurs with Jesper von Wieding, former partner of Scandinavian design lab, cho of sambal group Beijing/Shanghai, Wang Shao Qiang of Sandu Guangzhou and Eddy Yu/Hung lam of Co-design Hong kong (www.3x.dk). He sits at the advisory board & guest lectures at Dasein Academy, a leading art & design college in Kuala Lumpur. Beyond Malaysia, he teaches and conducts workshops at institutions across Asia, Middle East, Europe & US. He has been involved in the Neighbour Programme, which is a research as practice project aimed at reconnecting art and design institutions within the South-East Asian region. 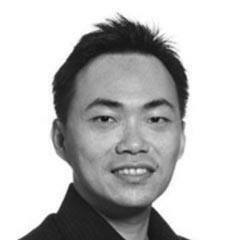 Dr Chong Keng Hua is an Assistant Professor of Architecture and Sustainable Design at Singapore University of Technology and Design (SUTD). He is the Principal Investigator of Social Urban Research Group (SURGE) and a founding member of SUTD Opportunity Lab (O-Lab). He is also the partner of COLOURS: Collectively Ours LLP, a social enterprise specializing in collaborative public space design. Graduated with a PhD in Architecture from National University of Singapore (NUS), Dr Chong has been a visiting faculty at Massachusetts Institute of Technology (MIT) and Zhejiang University (ZJU). He is the co-author of the book Form-making in Traditional Chinese Architecture. 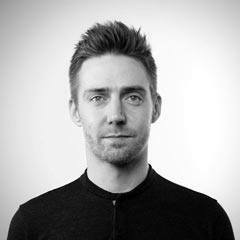 Building on his expertise in cultural-spatial cognition, he is currently researching on people-environment interactions from historical to contemporary contexts, investigating social urban sustainability particularly creative aging urbanism and participatory community design, while leading community design projects across Asia. Besides education, research, and design practice, Dr Chong is also an active volunteer. He is the co-founder and executive committee member of an NGO – ReallyArchitecture (re:ACT) – since 2006, and curator of ‘Hub-to-Hub’ urban intervention project in 2011. 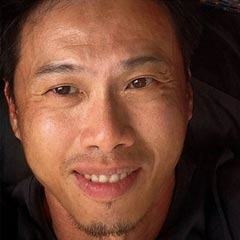 He has served in various organizations including Singapore Institute of Architect (SIA) as organizer of Archifest, Singapore Institute of Landscape Architect (SILA) as jury of Singapore Landscape Architecture Award, and was recently appointed by the Singapore government as member of Steering Committee overseeing the development of Jurong Lake District. Susthasina is a recent graduate in Design for Services from DJCAD, University of Dundee, UK. She has previously worked with marketing research agencies focusing on customer satisfaction research, attitude study and product/concept test. She is interested in conscious capitalism, sustainable business, sustainable living, food system and transpersonal practice. 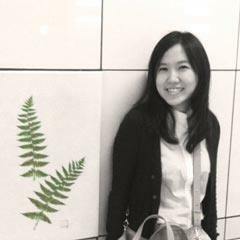 She is currently a service designer and strategist working with social-related organisations such as Social Marketing team at Thai Health Promotion Foundation, an organisation that promotes the sustainability of well-being of the Thai people; and Farmsook Ice-cream, a Thai social enterprise. Her aim is to bridge her background in business field with design thinking approach to promote strategic move in social sector. Tong Yee co-founded the School of Thought (SOT) to promote innovation in education and civic learning in both private and public sectors. SOT has since evolved to become The Thought Collective (TTC) – a group of social enterprises reputed for building social and emotional capital and are at the forefront of social innovation in Singapore. Other companies under TTC comprise Think Tank Studio, Thinkscape, Food for Thought, and Common Ground. 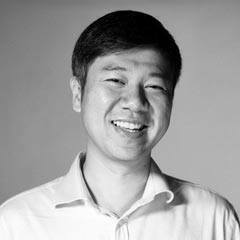 As a social innovator, Tong Yee provides consultancy for national agencies such as the National Council of Social Service and NEXUS. He also spearheaded civic initiatives such as the Stand Up for Singapore Movement, Economic Development Board’s 50th Anniversary Business Innovation Learning Summit, and Youthopia Youth Mentorship Movement. Some of his current endeavours include prototyping a sustainable volunteer programme, designing thought-provoking educational experiences through trail innovation, and initiating compelling social movements in hope of creating a more gracious society. 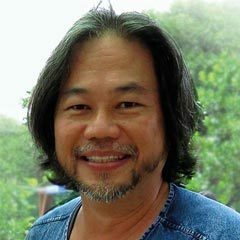 A champion of social emotional learning and ontological coaching, Tong Yee is a highly sought-after motivational speaker and trainer. Tong Yee also sits on a number of national committees. He is a council member of the National Youth Council, S50 Committee (Education and Youth) and Advisory Committee for Youth Corps Singapore. 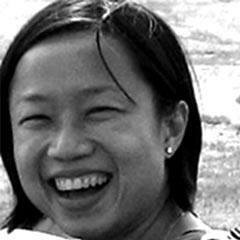 Vipavee Kunavichayanont is the co-founder and director of Design for Disasters (D4D) based in Bangkok, Thailand. With her interest and background in Art Education, Fine art, Interior Architecture, Architecture, and Disaster Management, in 2010 she founded D4D – a non-profit research and design initiative network focusing on disaster risk management through creativity and social responsibility. Her projects range from designing of disaster risk reduction toolkits disseminated around Thailand, to reconstructing buildings affected by an earthquake in vulnerable areas, also with the purposes to encourage collaboration among professionals, students, and general individuals in the society. 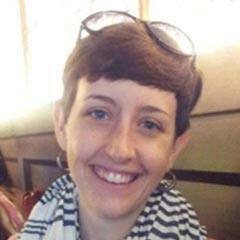 Victoria Gerrard is a co-founder and current Lead of Opportunity Lab, an interdisciplinary collective of faculty and research staff seeking to enhance the way people design for social change. Victoria trained first as a Biomedical Engineer and then went on to study Development Management. Her current research focuses on understanding ‘participation’ in design with respect to design process, context and agency. As part of her research she is currently working with communities in Africa, Europe and South East Asia on various design projects. Before joining SMU Change Lab – a collaboration between Lien Centre for Social Innovation and Opportunity-Lab at SUTD – Carol spent 3 years with Northern Rock Foundation (a grant making, capacity building and research commissioning foundation in NE England). Carol lead several major research projects – including ground-breaking work in increasing the impact of research learning on policy and practice. As well as developing capacity building and leadership training Carol supported development of NRF’s social innovation programme, ‘Fresh Ideas’. She also chaired ‘Funders for Impact’, a national coalition of Foundations working to improve impact practice in the non-profit sector. Carol has a master’s degree in Health and Social Research from Northumbria University, developing participatory approaches to service design in health and social care services. 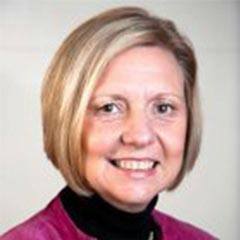 An evaluator and a founding member of the Social Impact Analyst Association, Carol has 30 years development experience across a range of private, public and voluntary sector organisations. Brandon Berry Edwards is an American designer and consultant focused on creating transformational change across societies, governments, and organizations. 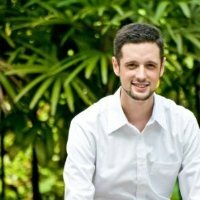 In September 2013, Brandon moved to Singapore to grow frog’s presence further across Southeast Asia and emerging markets. In 2007, he also co-founded frog’s Shanghai studio and since then has successfully helped grow the business across the Asia-Pacific region. Widely known as a thought leader for his experience in Asia and emerging markets, today Brandon focuses on creating new offerings, collaboration models and solutions to address issues of the 21st century. He contributes at the World Economic Forum, speaks at major conferences, mentors at corporations & universities, and funds start-ups. His opinions on innovation in Asia have been quoted in the media, including Harper’s BAZAAR, Reuters, Fast Company and Harvard Business School Press. And he continues to lead teams to solve some of the world’s most interesting problems through first-hand research, product & service design, experience prototyping, and the strategic planning of meaningful solutions to advance the human experience. Re:public Inc., is not a design firm nor a research agency, but a Think & Do tank specialized in architecting innovation ecosystems in an organization, a society, or a nation. When problems are becoming increasingly complex beyond the control of a single entity, we take a systemic, human-centered approach to understand the issues and build innovation capacity to act. A team led by Hiroshi is engaged in developing a “Citizen-led Innovation” platform in Fukuoka (a city of over a million inhabitants in the southern island of Japan) where citizens are taking an active role by shaping trans-boundary innovation teams with national and regional business enterprises. 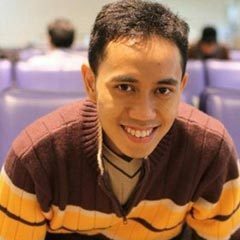 He will show the early initiatives from this ecosystem. 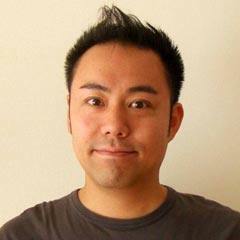 Hiroshi also serves as Co-Founder and Executive Fellow at i.school at The University of Tokyo where he teaches students to foster skills and mindsets to realize innovation through design-driven processes and harness ethnographic investigation. Since the Great East Japan Earthquake in 2011, Hiroshi has been working to revitalize Kesennuma, a town severely destroyed, co-working with local fishermen, factory owners and high school students to envision futures and take the initial steps towards it. Hiroshi leads “Citizen-led Innovation” platform in Fukuoka City where citizen participation takes a key role for change. 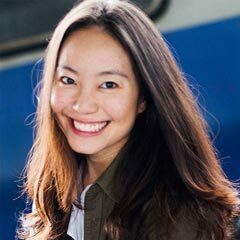 Bernise Ang is co-founder and Executive Director of Zeroth Labs, an experimental research lab and consultancy which uncovers behavioural insights and applies them to public policy issues. They do this by blending methods from the social sciences, management strategy, and the startup world to work with public sector agencies to co-create new forms of services, products and to innovate new business models. Although trained in psychology, Bernise’s work at Zeroth involves playing alchemist of multiple disciplines – such as data science, public policy, system dynamics, urban research, anthropology, technology and design. Bernise’s consulting work spans sectors such as Environment, Airline, Sanitation, Consumer Electronics, Youth, Higher Education, and Talent Development. She was also engaged in international policy work for 4 years with the UN Commission on Sustainable Development (UN CSD). 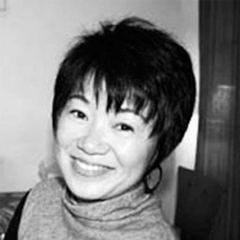 Yoko is a Senior Lecturer in the School of Media and Communication and Research Leader of the Design Research Institute at RMIT University, Australia. She also undertakes a leadership role in Design for Social Innovation and Sustainability (DESIS) Lab Melbourne and the Service Design Network Melbourne. 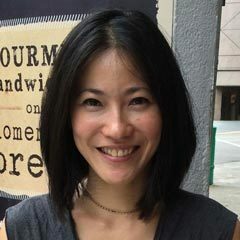 Her research centres on building capacity through community engagement, and being Japanese, she is also interested in supporting and creating a community of like-minded people in this area in the Asia Pacific region. Joyce is a Senior Lecturer at Northumbria University, Newcastle Upon Tyne, United Kingdom. She is the Operational Manager for the DESIS Lab at Northumbria University and has recently published a book called Design Transitions looking at understanding how design practices are changing. Her research is around understanding design practice in the social innovation sphere and her next book is focused on understanding how organisations are innovating through design. Kal Joffres is a serial entrepreneur and social innovator with a focus on leveraging design thinking and technology to solve tough social challenges. He the co-founder of Tandemic, Malaysia’s leading social innovation firm. At Tandemic, Kal leads the design for social innovation practice, where he helps organisations design innovative products and services to solve tough social challenges ranging from diabetes prevention to financial literacy and volunteering. Partners include Novo Nordisk, UNDP, Standard Chartered, and UNICEF.